How many songs come into your head when you read "Celebrate!" - a couple start singing in mine. Check out this one or this one - go on, I'll wait, they will make you smile - do you have other songs? I am giving away that beautiful hand crafted seam ripper to one of you. Isn't it stunning? It was hand made by Amy from During Quiet Time's husband. Sometimes he makes them and she lists them in her shop - you have to be quick to get one. So we are celebrating for a number of reasons. It is January and everyone who lives near me needs something to give them a lift in the darkness of January (those of you in the sunny southern hemisphere can feel for those of us in the cold dark north), if I cross my fingers there will be over 700 followers by the time this giveaway closes, people are joining the Finish-A-Long even though it is not at Rhonda's, it will be Valentine's Day in a month, it is the first year of this century were all the numbers in the year are different, tomorrow is 13 - 1 - 13, you name it, there are reasons to Celebrate. To win, leave me just one comment. Tell me what is making you smile today or this week or this month, or share a quilting tip or tell me a funny story. I will leave this draw open until Friday night January 18 and will share the winner of the random draw next Saturday. In case you were worried that I was giving away something I should keep, those two beauties are mine. The sparkly purple one I got a while ago, and the turquoise beauty was in my stocking this year. They both are taking turns helping me make my scrappy trip along blocks. There are the scrappy trip along blocks. I think I will make one more row and then decide if I want it to be 20 blocks (4 x 5) or 25 blocks (5 x 5). Next time, I promise, I will take a daytime photo so you can see the real colours. Have you joined us for Q1 of the 2013 FAL yet? You know you want to. You have until the end of tomorrow, that is 13 - 1 - 13 at midnight MST - link up your Q1 list here. I got strep throat for the second time in a month, but what made me smile this week was the dog smooshing me on the sofa and the somewhat apathetic cat curling up on my toes while I was napping. I get to see my grandson tomorrow! Yay! My parents are celebrating their 50th wedding anniversary so we are celebrating that! Love your TAL blocks - I am going to start one soon. Cool, I would love a purple seam ripper! Ooo lovely! 50% off spray baste and i just finished another quilt! Yippee! What made me smile today was getting home from a morning of sewing to find my husband had gone and had a haircut (ridiculously short) and now he is all cute and fluffy. And he shaved off his beard, which I've been begging him to do for months! What made me smile today was playing in the park with my 3 year old wearing only a sweater. Yes, in Canada, in January, it was 10 C today. Next week, back to our regularly scheduled snow. Nice - I have been eyeing those seam rippers. Celebrating? Yes I am! 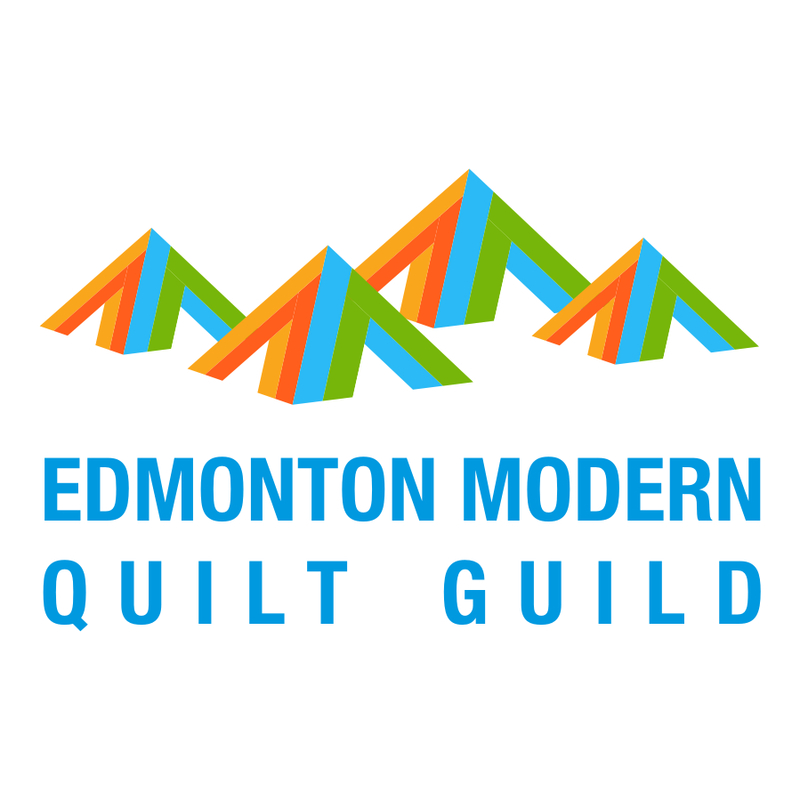 Two weeks until our annual quilt retreat and at the end of next month I'll be out in Edmonton (your way I think...) visiting my sister. Can's wait! How lovely!! What is making me smile these days (a lot!) is that I'm making myself a scrap vomit quilt, using up all of the old, unloved, unwanted fabric that I had to cull in order to fit into my new, smaller sewing space. It's not necessarily ugly fabric, just stuff that I'd lost interest in. I chopped it all up into 2.5" squares and I LOVE all of the scrappy blocks that I'm making. It's been ages since I was so satisfied with a project I am creating just for me. I also received a necklace seam ripper for Christmas from a dear friend, so if I am so lucky to win this one, I would pay it forward as a door prize at my next retreat. Thanks for your generous giveaway Leanne! My husband always makes me smile (and sometimes shake my head). Your scrappy trip is looking good. What is making em smile is my two children(5 and 7) asking to join my fabric-painting session this morning, to pain their own fabrics to use in the next quilts they make. Leanne, what a wonderful giveaway! Thanks so much and thanks for taking the helm of the FAL. That's what is making me happy - I made progress on another finish last night at our guild's sew-in. Making me smile today - the fact that I finally got my Brr! quilt top finished. :) And that it was sunny outside, but I mostly enjoyed it from indoors because I'm a wuss when it's chilly out! What's making me smile today?? I'm pregnant!!!! We aren't telling anyone else yet but its killing me to wait so now you all know :)!!! I got my camera in gear and took photos of my 1st quarter projects I hope to finish... I got my linky on! The seam ripper is gorgeous! My hubby used to turn but his lungs took a beating from not practicing safety when he first began and he can no longer create his art. I would love to win this beauty! I have to tell you about my grandson, Parker. He asked his mommy (my baby girl) to marry him the other day. She explained to him why that could not happen and he informed her that he didn't see why not. Then this weekend they were in town and as they started to get in the car to go home he asked her to sit in the backseat with him so they could hold hands. So his daddy drove while he held his mommy's hand all the way home. he is only 5! and is as precious as can be! I dare say, He loves his mommy! I have one of these & I love it, but wouldn't mind having the one on the chain too! Right now I'm paralyzed with indecision about what to make. I'm working on a Dresden Plate, but it will be long term. I've got a pile of low volume fabrics sitting out while I decide if I want to do that right now. Decisions, decisions. Thanks for the lovely giveaway. Hi!! Love this!!! It would make me smile to win it!!! My grandchildren keep me smiling they also keep me on my toes!!! My gs Jager 5yrs and gd Emma 2yrs old!!! What one doesn't think of the other one will!!! I always heard people saying that about me and my five brother and sisters when I was young and never quite got it till now!!! Oh and if I get on one of them for something they both get mad at me and a minute later they will be back to bothering each other!!!! Thanks for the fun!!! I had a lot to smile about today. My granddaughter got into her mommy's make-up and I received the sweetest photo of her covered in pink lipstick. I was overwhelmed with cuteness today. My son got an 11 week old bull dog puppy and it is the cutest thing, ever! I had a great day. Got lots of sewing done and I stuck to my diet...that's 10 whole days now! Very cool, Leanne! Nice you are finding so many things to celebrate. I am happy to be on my last set of bee blocks for the month! these are great! thanks for sharing! Hm, today i'm smiling because of the silly puppy we're fostering, shes 100% puppy all the time and likes to steal my epp hexagons! Ripping seams wouldn't be so bad with a pretty seam ripper like that! Beautiful scrappy quilt, and beautiful seam ripper. I've been wanting one of those for a while! What made me happy today? My goofy kitty, who "helps" me quilt every day, and who has decided recently that the best thing in the house to "kill" is the earplugs I use while sleeping at night! The sun shone today. That's definitely worth a smile. Of course, it was cold, but it was worth it. Thanks for the chance to win that amazing seam ripper. It looks like jewelry. Congrats on the milestone. Enjoying time with my family makes me smile. What a fabulous seam ripper! You are very generous in giving one away! What made me smile- the amazing tea towel my sister found at her local 'op ' (thrift) shop - a vintage one from Banff, Canada! A real treasure! I'm smiling because it's a Sunday morning, I'm lying about in bed, the girls are still asleep and all is right in my world. Lovely giveaway, thanks Leanne. Ohh I'm smiling because I finally got my new glasses - and hey suddnely everything looks a bit sharper. This morning I am smiling because my 6-year-old son and I have just finished a joke conversation about how his tail was removed just after he was born. He always adds so much detail and is so imaginative it makes me giggle! They are lovely seam rippers, it wouldn't feel so disheartening to rip with them. I'm smiling today as I did enough school work yesterday that I can feel guilt free about sewing today! I'm in the UK so the fact that the sun is shining and it's not raining is enough to make me smile!! What is making me smile? 2- that I'm signing up for the FAL so I may eventually have a small enough to do pile that I can fit my legs under my desk! What a gorgeous seam ripper, reverse sewing would (nearly) be a joy with that! I am smiling today because my OH and son have gone off to Edinburgh for a rugby match so I have the whole day to myself to sew! Cute seam rippers! Yes, I joined the scrappy trip along, but have only done two blocks so far. What's making me smile? I am powering through my Finish-A-Long goals, my cats are being cute, and I just ate my own body weight in chocolate cake in celebration of my sister's birthday! I'm smiling because the sun is shining. It's chilly but the sky is blue and the sun is out!! Oh, and Archie has stopped running away when he hears me get his morning tablet out of the packet - he must be feeling better and have forgotten about the pain and that's definitely a reason to celebrate! That seam ripper is making me smile! Why hadn't I ever thought of looking for one on a chain?! I always lose them, even while using them like on the scrappy tripalong. Beautiful! Tea and toast in bed with the family is asking me smile right now, too! Love how your quilt is looking! Would also LOVE to win! Our puppy (9yrs) ALWAYS makes us SMILE!! Have a wonderful day...! I just watched the movie 'New Years Eve' which I had never seen before now. The beautiful ending(s) for each of the stories truely brightened my day and brought a smile (and a tear) to my face, and will continue to do so every time I think about it. If you haven't seen it yet, I would definately recommended it (especially if you have seen and loved 'The Holiday' and 'Love Actually'). Oh I knew where that came from immediately, how cool! oh wow. Absolutely gorgeous seam rippers AND a pretty scrappy quit. They're making me smile :) Does that mean seam ripping is much more enjoyable for you? Or am I pushing it? I, too, am working on a scrappy trip quilt - in neutrals! My daughter just became engaged (the quilt will be for her and her husband-to-be). That is why I am celebrating! And that is why I could use another seam ripper! Oh that is adorable, I've never seen such a fancy seam ripper. My little 4 year old boy made me smile today, he told me all about a really cool exercise toilet they have at school, when I asked him what he meant he said that you sit on the toilet and there is a bar each side of it to help you do your exercises...I said Jacob, do you mean a disabled toilet?, he said yes!- I thought it had a funny name! Oh they are beautiful. The once with the chain would be perfect for me, as I tend to lose them. I've lost count of the number I've bought and lost. You'd think at least I'd remember the word for it in Czech, but I can't and each time I go to buy them, we have to do a little mine in the shop! I found one last night at the bottom of my knitting! CELEBRATE! Now I am singing! lol What a lovely seam ripper! I'm anxious to start some scrappy tripping! Beautiful seam ripper! I'm happy that I'm ready to sew my scrappy trip along blocks together today. And I may make another one and that seam ripper would certainly be put to good use! Thanks for the chance! I get together with a few friends twice a week to sew something. runners; pillows..etc. and we have been snowshoeing everyday. Keeps the mind occupied; and of course; I have quilt orders to work on. So very busy. My kids, who aren't listening right now, still make me smile, even though they also make me frown. :) Thanks for the fab giveaway Leanne and congrats on everything! Funny story....we have been emailing back and forth all week, but with no discussion of it, we both decide to have a giveaway on the same day. Weird right? Getting ready for my monthly sewing group is making me smile. And also the opportunity to win such a lovely seam ripper. Celebrate indeed! If you could see my dorky dance moves to "Celebration" at a series of 80's weddings you would laugh. Hard. I've been drooling over Amy's seam rippers for ages now! I am doing the happy dance when I see daylight lasting just a wee bit longer than last week!Thanks for the giveaway Leanne! My kids always make me smile, even though they are on their own now. My son stops in randomly, just to raid the refrigerator and sit and talk to his mom. My daughter will get a quick weekend visit in CO next weekend...even though her weather is just like ours here in Maine. I love those seam rippers! What made me smile this week was getting a card and an autographed charm square of fabric from Anna Maria Horner. You never know what will happen when a friend talks you into a giant charm square swap! The thought of that beautiful seam ripper makes me smile. I'm alway losing my little plastic ones, and the thought of one on a chain is really appealing. thanks for your generosity, and I hope the sun is shining where you live. Here in Winnipeg we're having a crisp January day -- minus 25 with a bright blue sky. I would love to own that seam ripper. Just starting a scrappy trippy block exchange in my quilting group and it would be put to good use. Thanks for the giveaway. I don't know if this makes me smile or not, but my oldest turns 13 tomorrow. Is that reason to celebrate and to worry about what the next 5 years will bring? Thanks for the chance. What made me smile today - going go-carting with my kids!! I'd love to win, so please throw me into the pot!! I am smiling because I have set aside the entire afternoon for sewing!!! My kids make me smile every day! My son has the best sense of humor and I'll miss him terribly when he leaves for Marine Corps boot camp in August. My daughter attended a quilt guild meeting with me last week and was inspired to make a quilt for her boyfriend while he is at Army boot camp. We are so proud of our boys! Love your Scrappy Trip quilt! I need to start one. I am smiling because it is supposed to be in the 50's today, a nice temp for running here in CT in January! 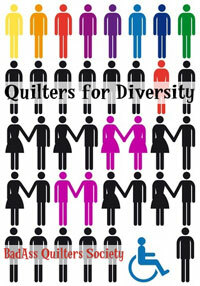 I'm smiling that although mt daughter and I live 900 mies apart we share the love of quilting. We text and share photos daily. Shahada log,who knows maybe ill start one, but I'm an avid blog reader. I'm smiling that my kids got up early (as usual) but played quietly with their melty beads instead of immediately coming to wake us up. Yeah! That beautiful seam ripper is making me smile. And also a MQG sew in today - yay! This morning, I have a pretty little lutino love bird on my shoulder making me smile. It's taken a few months to get it tamed and friendly enough to not bite. Now it likes to receive kisses and takes seeds from me. What is making me smile is that January is almost half way gone- I do financial things and January is crazy with year end stuff. 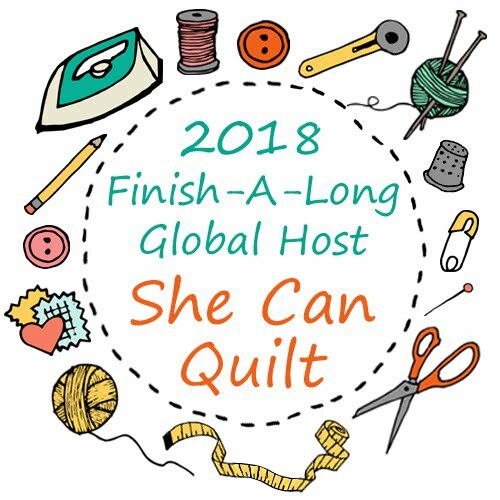 And QuiltCon is getting closer. I promised myself a treat of a fancy unpicker when I finished my #scrappytripalong; thanks for the chance to win one. Sewing in the sunshine today made me smile. My daughter and her husband have moved home and are staying with me until they find a place of their own! That's what's making me smile these days! I didn't know a seam ripper could be so beautiful! Mine gets a lot of use, not always a good thing. What is making me smile is that after recovering from a broken leg for four months, I can finally dance again! I saw your call out for 700 Followers, and will do my bit to help you get there. Is this target also one of your UFOs? As for the seam ripper, I have NEVER seen such a sophisticated looking tool - it is a piece of art. Almost worth making a few mistakes! Thanks for being a great place to visit. My babies are making me smile :) Even when I'm trying to play with fabric and they want my attention.... one look at their faces, and I realize the fabric can wait! I've looked longingly at those seam rippers since her husband started making them. I would love to win one! I'll be smiling for a good month and a bit, looking forward to my sister coming at the end of February!! 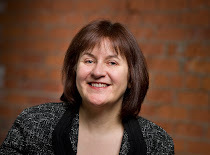 Congratulations Leanne on your followers and well, just how wonderful things are going for you in your sewing and blogging spaces of your life. I'm happy because I got my husband to agree to changing our terrace in to more of an outside living space - yea! Those seam rippers are so beautiful--makes ripping more of a pleasure, I'm sure! What's making me smile today is having my kids and grandkids come over for dinner and then relaxing with some handwork afterwards. What a lovely day this is! I smile whenever I'm sewing (except when I have to rip out seams). The seam rippers are beautiful. Un poco de oscuridad y fresco seria bienvenido donde vivo .en el hemisferio sur.Mi destripador tiene 20 años ,esta en estado deplorable. Hace un tiempo mi país cerro la importación de todo tipo de objetos ,entre ellos los destripadores. Felicidades por los 700 seguidores o mas. Beautiful seam ripper, too nice to unpick with. Didn't know the first song, didn't listen to 2nd as it would become an ear worm! Smiling this weekend cos grandbaby got her first tooth!! gorgeous! love your scrappy trip along! i am smiling today because i got to sleep late while my toddler spent the night at his nana's house. grandparents are the best! Those beautiful seam rippers are making me smile right now! Thanks for sharing! Cute seam ripper! Love to win it. Happy 'cause my sister called this week to say she will be able to visit in February. She lives in Bothel, WA - so we only see each other 2 or 3 times a year. Thanks! An un-loseable seam ripper?! Priceless! So pretty - I would wear that as a necklace even when I wasn't sewing. Thanks so much for doing a fab giveaway on top of your fab FAL! I am smiling at the thought of semi retirement in 15 weeks! I love these seam rippers. I MUST have one! What made me smile this week was that my husband did NOT have a kidney stone when we went to the ER yesterday. He is scheduled for knee replacement on Tuesday, and a stone would have delayed his surgery. This quilt sure made me smile today! I'm not fast enough to snag one of these! Amy's husband sure makes seam ripper's into a thing of beauty! So pretty! I love how something as mundane as seam ripper can be transformed into something beautiful. The thought that we might have a bit of sun today also makes me smile. And the fact that I'm participating in FAL. Congratulations on almost 700 followers. Beautiful seam ripper! I've looked at them a few times thinking I would love one. Today, the snow is making me happy. We hardly get any snow here but today there's a light dusting of snow in the garden. I'm looking forward to making a snowman with my daughter after school. I finished sewing two pouches(UFOs projects)today and that's make me smiling happily... Thank you for the great giveaway and congratulations! That is beautiful! I always have a look when she lists more but they sell out quickly! There are so many things to smile about - my youngest son singing silly songs, my oldest one reading to himself, the cooler weather after the heat, just to mention a few. Lovely seam ripper...I'd love to win one! My charity projects make me happy and keep me going! The birth of my new great-niece Jaidyn makes me happy this month. She was born on Jan 2...and the last 2 weeks I have been able to have many baby snuggles. Nothing is like a newborn baby! Watching my dog take a running jump to get on the couch, and totally missing. I really love your scrappy tripalong quilt. I tlooks wonderful and very colorful. Thank you for the chance to enter your giveaway. wHAT I makeing me super happy at teh moment is my new fabrics I bought yeasterday. The first fabrics I have bought in right at 2 years just for me....All greys and mustards in color. Absolutely gorgeous. Those are stunning!!!! Thanks for the giveaway!! That Mark is one talented guy - love those seam rippers. Making me smile today is my youngest childs 2nd preschool session and listening to him on the way home about what he's been doing - it is so cute! New visitor today:) Heard about you from Amy:) I have been dying for one of these beauties for a while! Smiles today-kids home from school & a beautiful day! I'm smiling because I became follower 700 before I read your post (I noticed it because I like round numbers!). Other than that I'm smiling because my husband has fixed our stairs so they no longer squeak! I am smiling because I got to pick up my two girls early today! Oh my heart be still! If I have to rip out- well I dont think I would mind using one of those! What makes me smile? My grandchildren. All 20 of them. About half of them live out of state so we use skype, facebook, and texting all the time, so I can see, talk, and participate in their lives. They always make me smile! I'm coming up on my first anniversary of turning on my sewing machine. I am finally beginning to feel a sense of confidence! Those seam rippers are amazingly beautiful! What gorgeous tools! A beautiful seam ripper might make the task seem a little more fun, right? What is making me smile this week is seeing lots of signs that my 8th grade twins are going up to be thoughtful, caring young men. I have hope! That is so beautiful! I had to smile when one of the previous comments announced she was pregnant but aren't telling anyone else yet but it was killing her to wait so she shared. Oh that kind of excitement always makes me smile. Today, I smiled because our home made potato salad was so simple to make (peel 3 boiled potatoes, chop them, chop a bit of pickles and add mayo, that's all) and tasted so great. Not even onion was required. Thank you for the giveaway, it is a fabulous-looking prize! 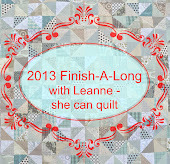 Thank you also for sharing your quilting adventures! Thanks for the chance to win! They are beautiful seam rippers and a huge improvement over the little plastic one I have. Thanks again! What a beautiful seam rippers. Makes the task less painful, I imagine. I've been smiling about catching up with old friends. And making some exciting life/career decisions. Those are the most beautiful seam rippers I have ever seen, they have to make un-sewing less painful. I am happy because I get to spend tomorrow with my best friend. What a wonderful giveaway! Truly unique. What is making me smile today is after trying on a bunch of active wear today to finally find yoga pants and t-shirts that fit this new body I'm creating... I got home and tried them on again and when I looked in the mirror I couldn't help but smile to really be able to see just how much weight I've lost. And what a difference it's making in my life. I start yoga classes later this week, something I wouldn't have even considered before. So pretty! Thanks for sharing via a giveaway! What's making me happy is that after taking 2 of 5 dogs to the vet, one has no problem whatsoever and while the other one needs urgent surgery, it looks like he'll be fine and we're not looking at the end of life for him. A huge relief! I love your scrappy trips! What made me smile today was my daughter's reaction to her newly remodeled room and new-to-her bunk bed...so grateful and so excited! Those are very petty seam rippers - thank you for the chance to win! What made me smile today was skiing downhill on this gloriously beautiful day in the mountains! That is a purple beauty! My kids telling me silly knock knock jokes after school makes me smile. On Christmas Eve, we came across a herd of elk feeding in a field under a moonlit sky. I am sure they were the second string for Santa. It was magical. I'm smiling because this weekend I will be attending a gathering of my far-away extended family. It only happens a couple times a year so it's always special. Oh my goodness, that purple seam ripper is gorgeous! Making me smile these days: my baby boy is learning to walk. Watching his 'frankenwalk' cracks me up! Oh my! How beautiful. I am smiling today because it is the first day my partner has had off in two weeks and it just happens to coincide with my day off. So for the first time in two weeks we get to see each other for more than an hour each day as we pass each other in the hallway! Yay!! Love the blocks! Wow, thanks for the giveaway chance -- I've been trying to buy one from Amy's shop for ages. They sell out in minutes it seems. I'm celebrating blue skies and sunny days! So rare this time of year. What a great giveaway Leanne! You know what made me smile today? I got a shot of cortisone in my buttocks today and boy did it make my sick self feel so much better! The miracles of medicine! What an amazing day and age we live in! Woo hoo! What is making me smile today is not working for a 12 day stretch! Thanks for e great giveaway. I have wanted one of Amy's seam rOpper for ages! Awesome little seam ripper! I am happy because I get to take a nap today and eat chocolate! The giveaway is now closed. I will draw the winner from the comments above this one.